Are you a fan of DIY (do it yourself)? Actually I do enjoy assembly stuffs (i.e. small furniture, blocks, puzzles and etc.). What about you? Don't worry. I am not going to ask you to make your own furniture or break whatever you have existing. 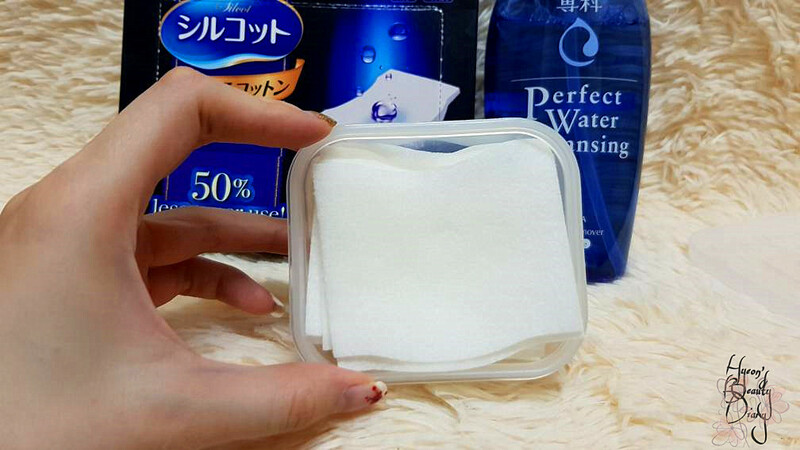 Are you always struggling to bring your favourite makeup remover around (especially for travelling)? This is for you. Cleansing water (of your choice). 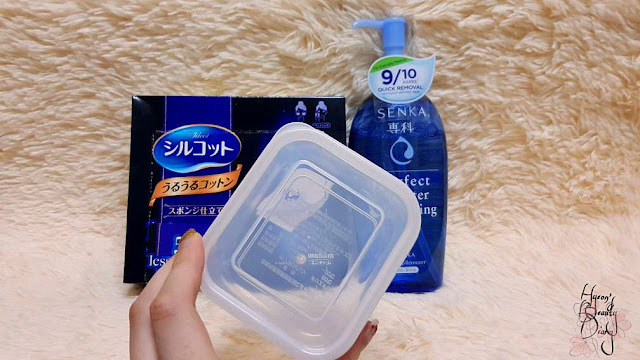 Step ① Prepare a clean air-tight plastic container. 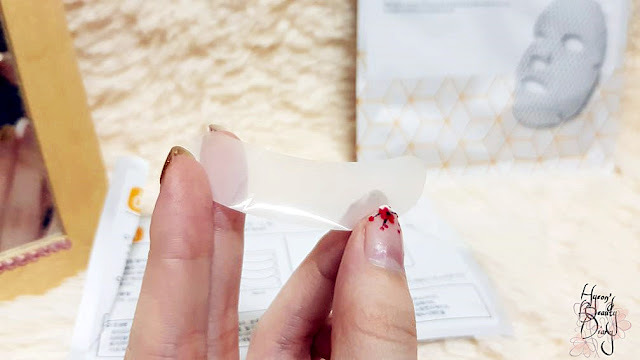 Here I bought a small rectangular transparent container for this DIY. 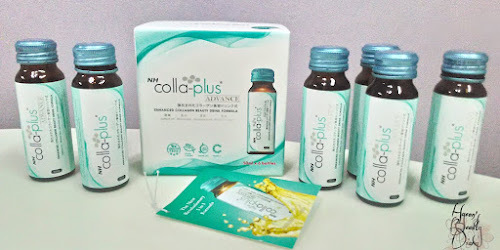 Three of these as a bundle is sold at Daiso for RM5.90. The reason I chose small container is because I want it to be travel-friendly and easy to carry around. Of course, you could use any type of container. The thing is, it must be air-tight, so it won't drip. Step ② Prepare clean and unused cotton pads. Here I am using Silcot Uru Uru Puff (40 pads per box). The biggest advantage of using Silcot Uru Uru Puff is that it could reduce regular usage amount by 50%. Besides, its sponge material provides a smoother touch and non-fuzzing patting. By default, these puffs are folded in half with a dotted-line in between. I might as well tear them into half which is more convenient for later use. Here I am using Senka's Perfect Water Cleansing. The main purpose of this DIY is to use the skincare product(s) which your skin is familiar to reduce skin downtime, especially while travelling. 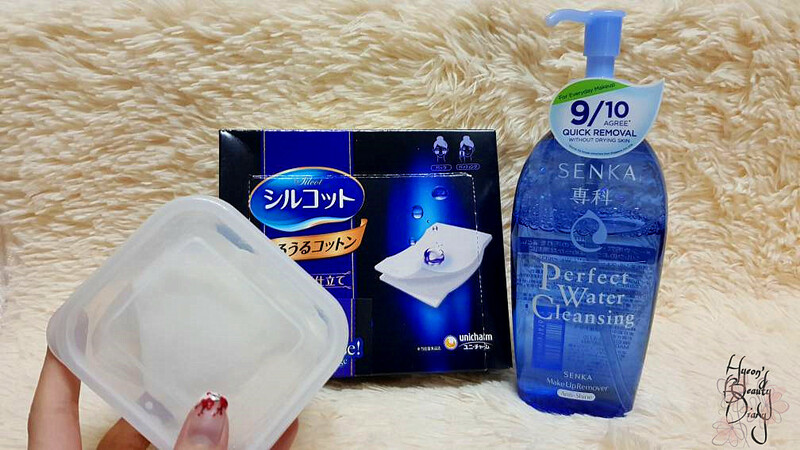 So I am currently using Senka's Perfect Water Cleansing, that's why it is featured here. Anyway. Just pour the cleansing water right into the container. Well, since the Uru Uru Puffs has the characteristic of a sponge, it won't shrink when it meets liquid substance. It might take some time for the puffs to fully absorb the cleansing water. 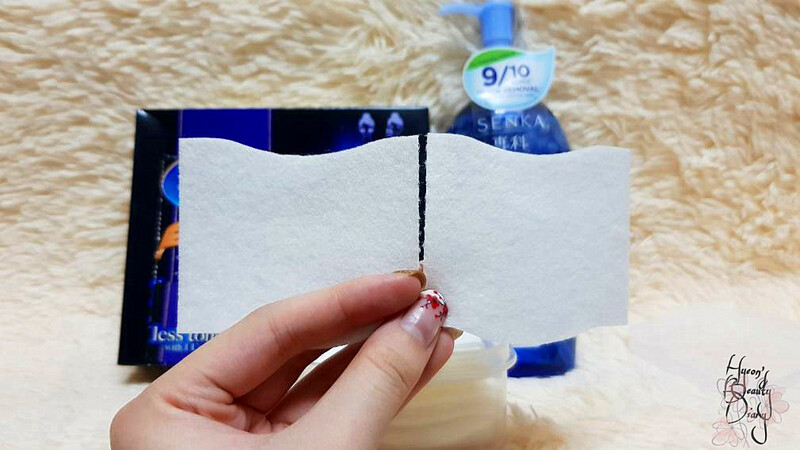 To fasten the process, you could press the puffs downwards, giving pressure to the puffs. Ta-da!!! Here you go. 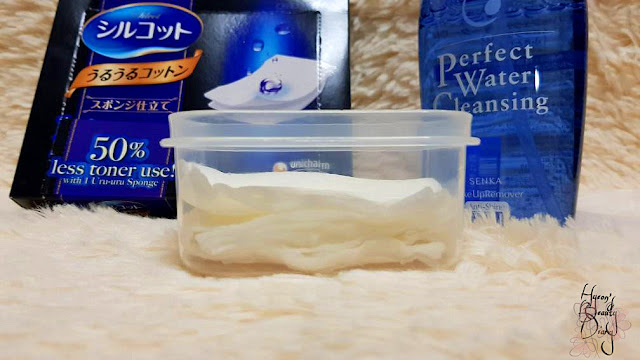 Your very own DIY Cleansing Pads! Absolutely personal. No downtime. Hygienic and travel-friendly. 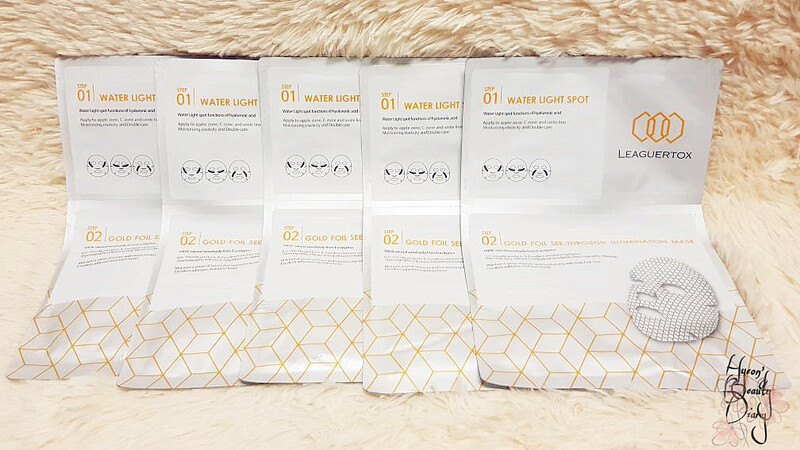 Obviously, this is a 2-in-1 sheet mask pack which it consists of 4pcs of Water Light Spot (Step 1) and 1pc of Gold Foil See-Through Illumination Mask (Step 2). Since this is a review based on first impression, I am going to walk you through the thoughts that crossed my mind as I open these. 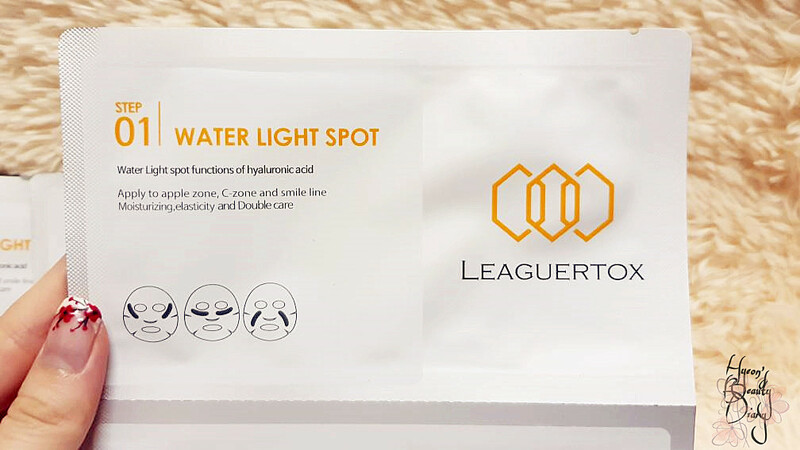 "Water Light spot functions of hyaluronic acid." 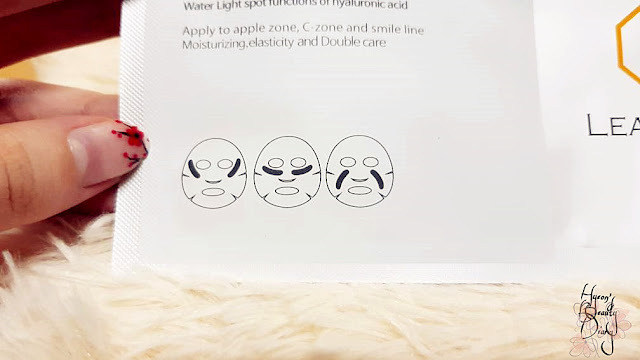 "Apply to apple zone, C-zone and smile line." 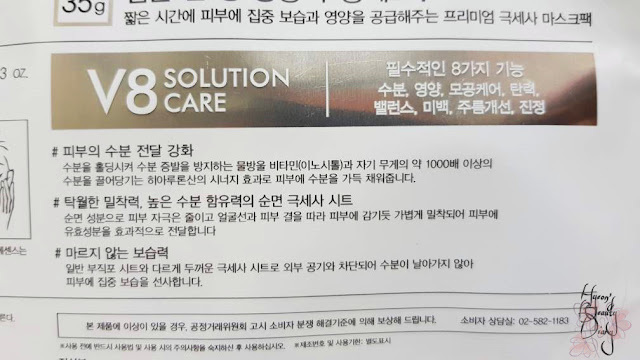 "Moisturizing, elasticity and Double care." Remove it from the protective plastic layer. 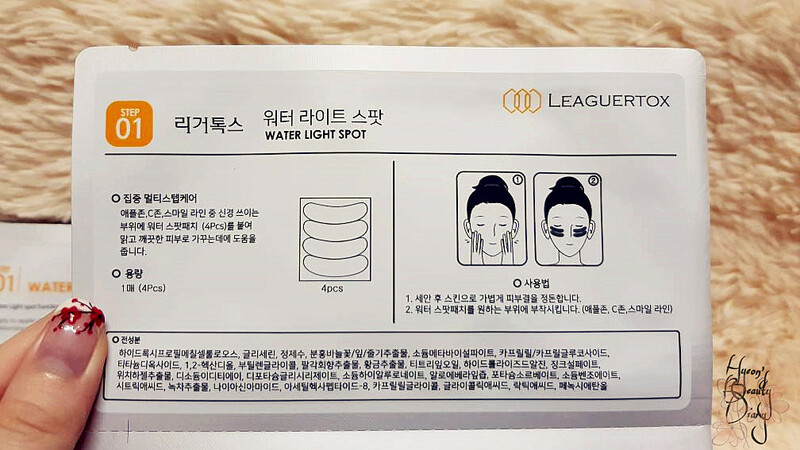 The Water Light Spots are extremely thin and light. Put them on the spots where you think requires uplifting. They have some recommended spots for you to refer (as below). Here I am applying on both undereyes and Apple cheek (as below). 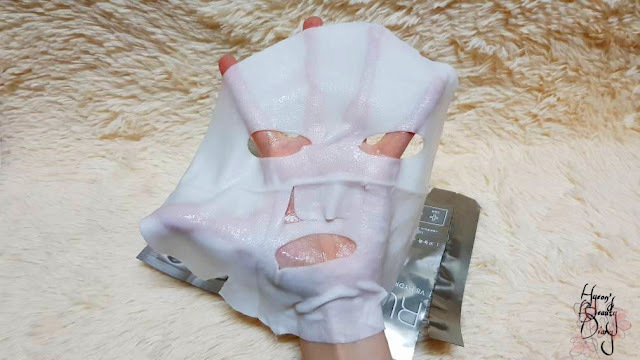 I am particularly attracted to its product description where it says "...help blood circulation". I need THAT!!! "100% natural wood pulp from Eucalyptus." "Eco-friendly products & Excellent moisture regulation." "Thermography reflexes to help blood circulation, Thermography reflection." 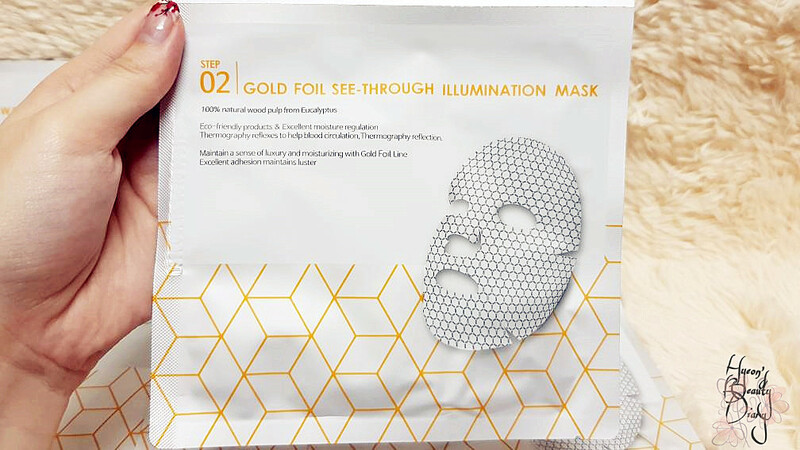 "Maintain a sense of luxury and moisturizing with Gold Foil Line. Excellent adhesion maintains luster." 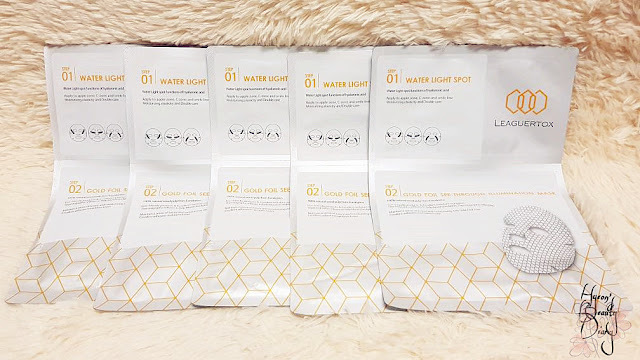 By far this sheet mask gave the biggest "wow" unboxing effect. Check it out their design! Definitely didn't see it coming. No kidding. Gold Foil Line and Thermography reflection... It makes sense to me now! (heh) 100% luxury feel~! In fact, this gold-hexagons design is patented and certified for thermal reflection, hence warming up the skin underneath, promoting blood circulation and improving skin absorption of the essence/ampoule. There is only one (1) side which has the Gold Foil Line, and it's texture is more smoother than the other. You can feel more natural wood pulp on the side without gold foil line (slightly rougher on texture). Put it on, overlapping the Water Light Spots, and leave it for 10~20 minutes. 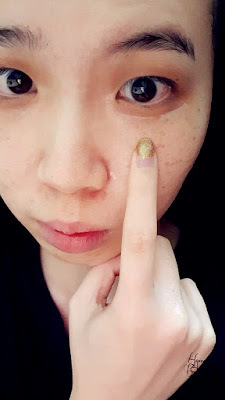 After removing the sheet mask, there are enough leftover essence in the bag for both hands! I applied it all over my hands, from shoulder to finger. Nope, the essence is not filled with gold particles (guessed wrongly earlier zzz). It has thick consistency and a bit sticky once applied on skin. Only one thing that bothers me is the scent. There is this weird rubbery scent embedded in the essence. Honestly, I am not a fan of its special taste of fragrance, but as long as it doesn't tickle my nose, I just left it on until time's up. In fact, I left it on more than 20 minutes. 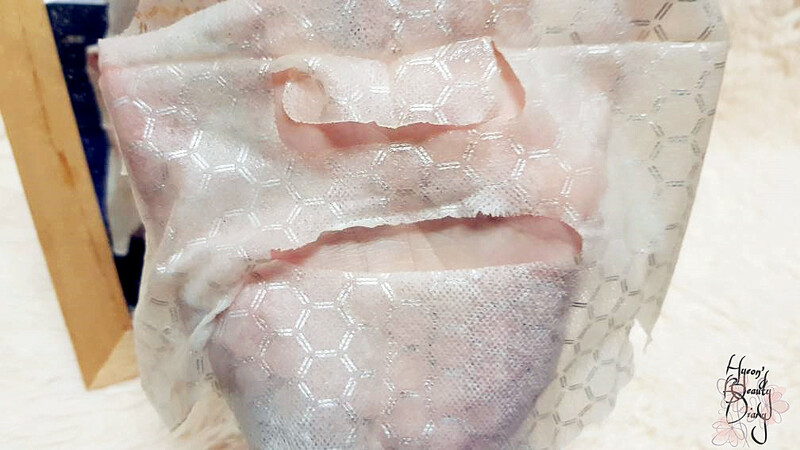 And apparently, the sheet mask starts to dry off (see the edges as below). I was so surprised to notice the Water Light Spots being dissolved under the sheet mask. That was unexpected! It didn't mention anywhere saying it will dissolve or whatsoever. Despite I had zero expectation at the beginning, it turned out to "wow" me the most throughout this experience. Whether or not it is psychological effect, I do feel the areas with Water Light Spots are tightened. Especially around the apple cheek. Later on then I read up on its ingredient. Little did I know it has an ingredient called Argireline (a.k.a. Acetyl Hexapeptide-8 / botox in a jar) which is popularly known for reducing the appearance of fine lines and wrinkles. 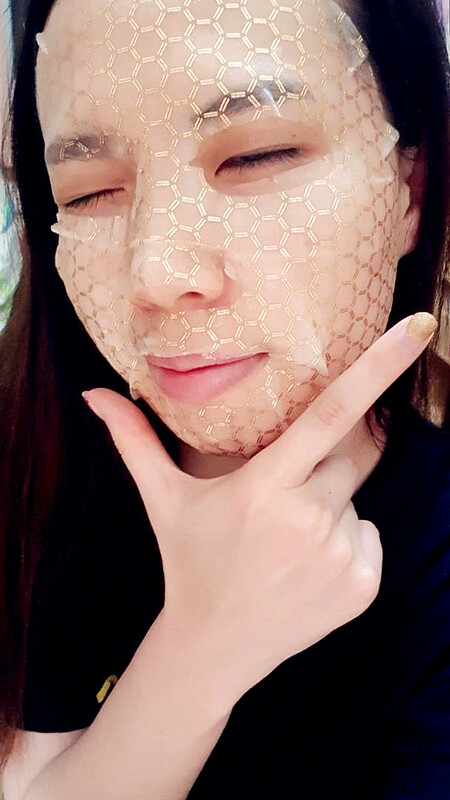 Do I feel my skin being warmed up while wearing the sheet mask? Not that I can observed. Perhaps I was too hyped up for its design. 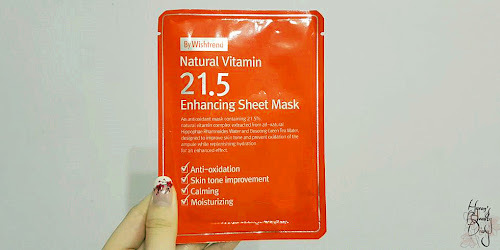 I bought this sheet mask on Althea (sadly it is not available as I am writing this). 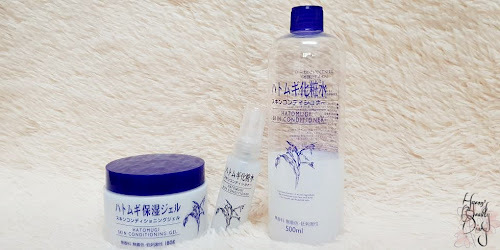 Repurchase: I would if it is made available again on Althea (pleaseeee). If you are a student or young working adult, without much extra allowance, our aim is to get functional products with affordable price. First of all, let's explore this Multi Ice Cream, shall we? 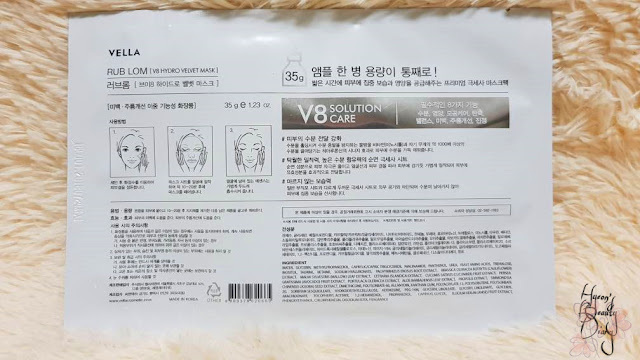 I learned about this product about 1 year ago, while watching Korean Youtuber Hanbyul as she breakdowns to viewers her TOP 10 Best Beauty Items for 2017. 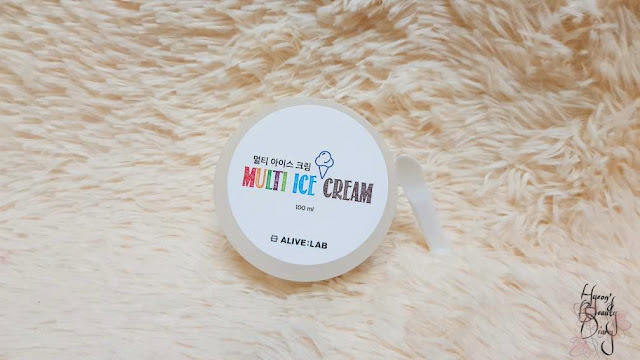 In the video, she mentioned that if she must choose a moisturizing cream for the rest of her life, that would be ALIVE:LAB's Multi Ice Cream for sure. 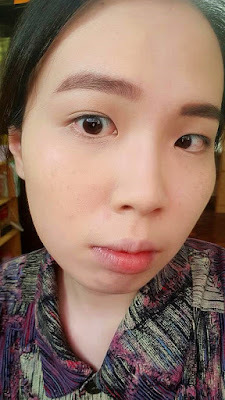 She has tried a large range of skincare products, from high end to drugstore, and here's her statement. Let's get into the product! 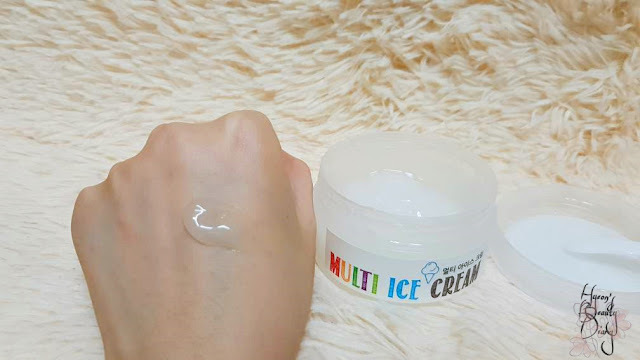 The main ingredients of Multi Ice Cream are Canadian glacial milk (for skin cooling) and Galactomyces ferment filtrate (for skin nourishment). 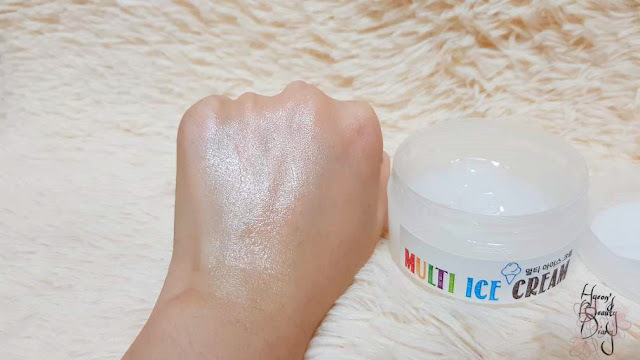 I do not know the philosophy behind the product name, but a wild guess, I think it is called "multi" because it can be mixed together with ALIVE:LAB's Centella Dressing Powder or Red-Spot Lemon Powder. "Ice" is to portray the cooling effect. However, to categorize this product as "cream" could be very misleading. 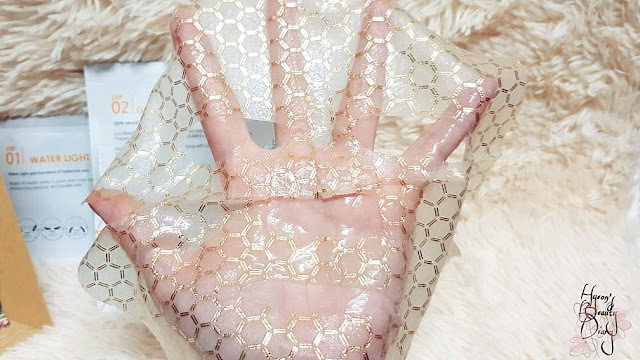 :/ The fact is it has opaque gel texture (as below). The gel is firm and definitely not watery-type cream. See, even I scoop it and turn it upside down, it won't fall or slip (as below). Yes, it does come with the spatula in the package. :) It comes in handy and more hygienic too! 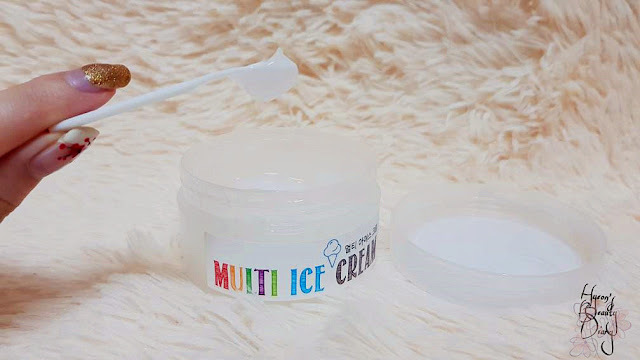 Usually I will take one scoop of the Multi Ice Cream for my entire face. Rub the product until it is absorbed into the skin. 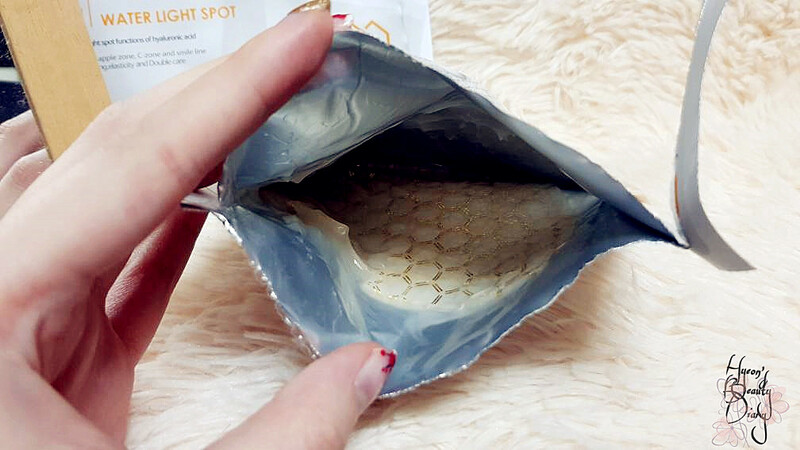 It will give a shining (looks moisturizing) effect once you applied on the skin. 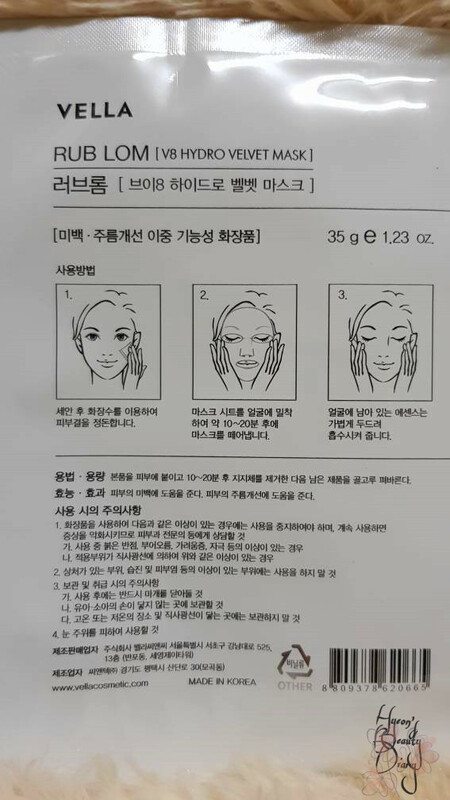 Be careful on the amount, so that you will not appear as if you have an oily face. 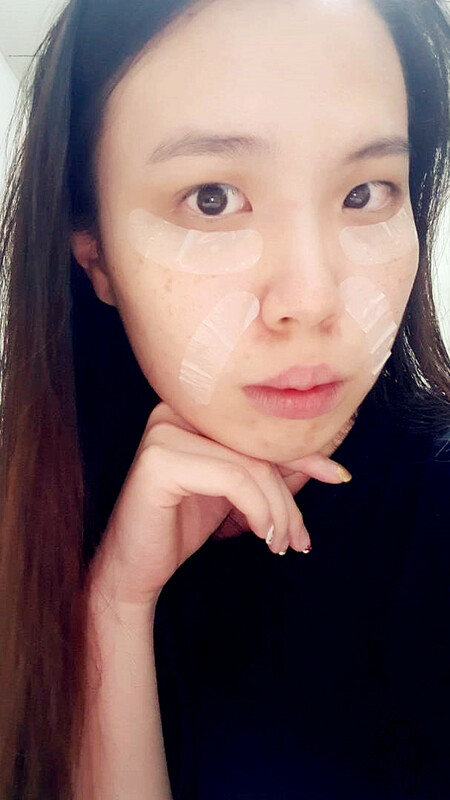 Usually I will apply sunscreen and concealer in order to complete my morning routine. You may ask? 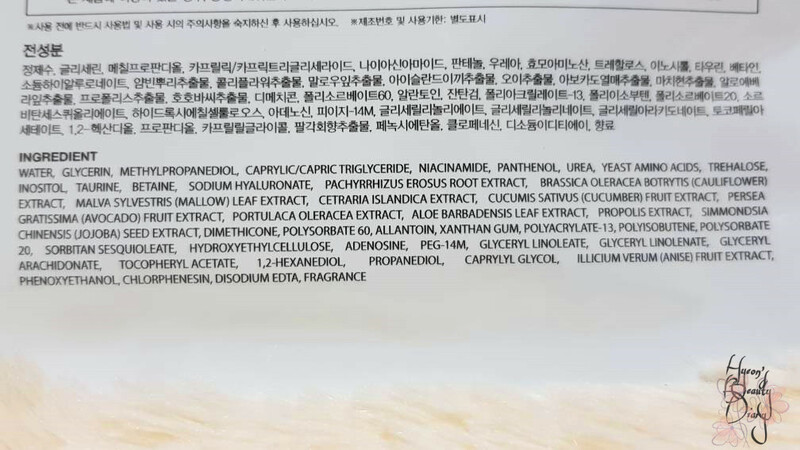 Is this product sufficient to provide moisture to our skin? Well, I certainly couldn't say for everyone as we have different skin conditions. 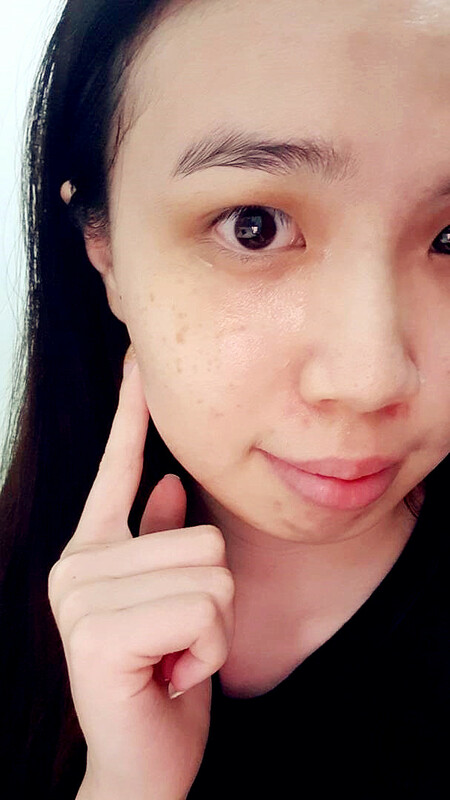 As for me, I have combination skin and I am very happy with this product. It doesn't feel burden after applied it on the skin, but rather refreshing. Plus, it doesn't have any distinguish fragrance or disturbing scent. That's why I keep going into this product every morning. 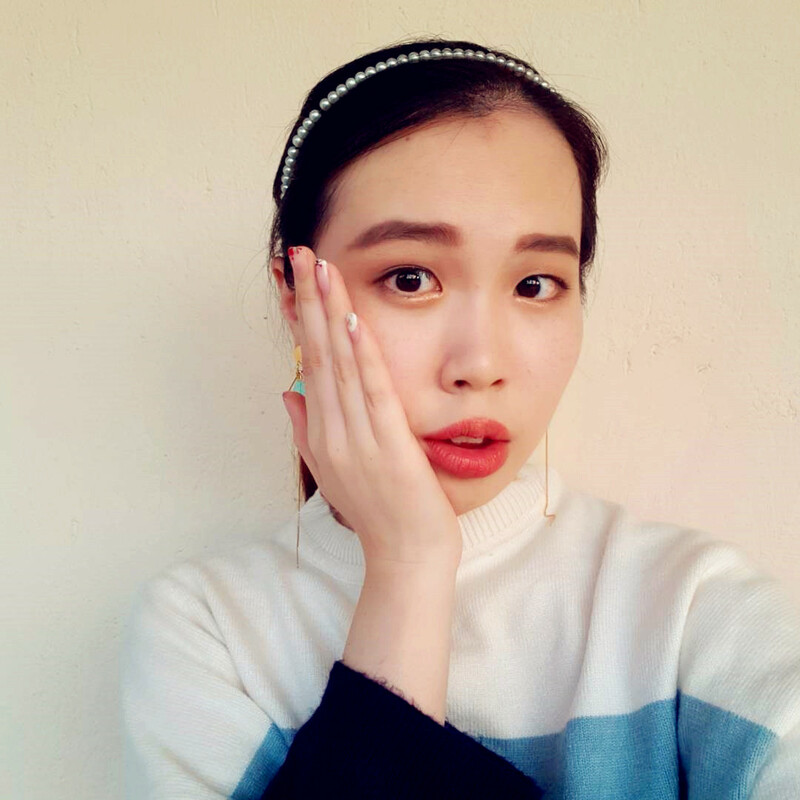 Remember the Korean Youtuber Hanbyul I mentioned earlier? 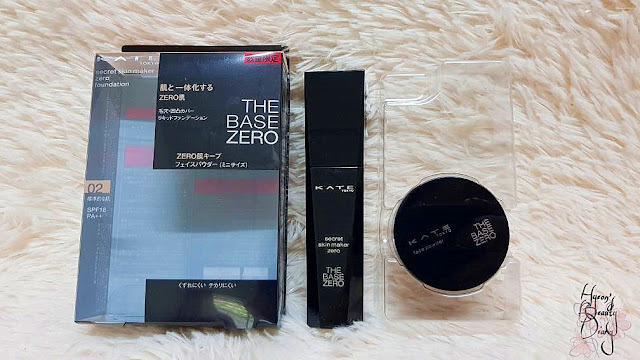 She has dry skin and she says this product tackles not only the surface, but also inner skin dryness. That's why she loves it so much. 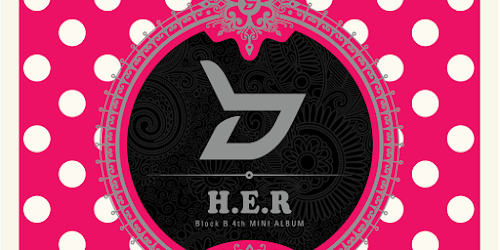 This product costs around KRW16,000 (approximately RM50+) if you purchase in South Korea. 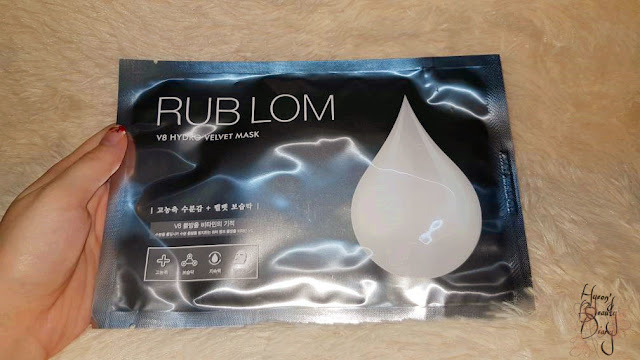 Recommend: Highly recommend for daily moisture. 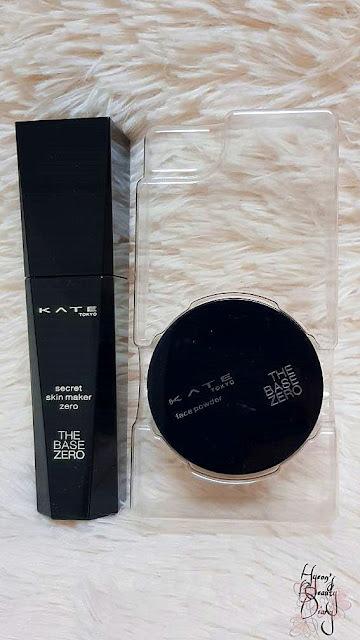 Repurchase: Perhaps not so soon, as I would like to try out another similar product. Little did I know about this sheet mask when I purchased, but the aim is to try new stuffs this year. Based on its popularity, when it went out-of-stock on Althea, I was hyped up to get one and try it my myself (heh). 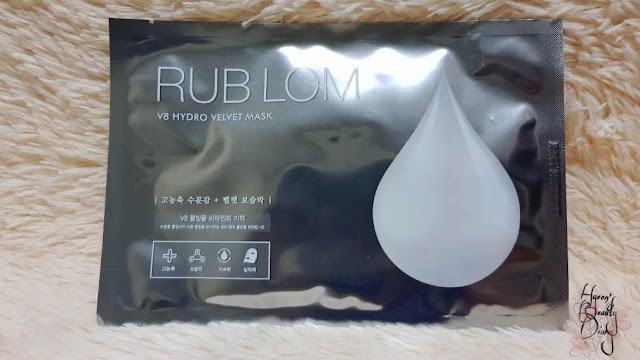 RUB LOM's V8 Hydro Velvet Mask | 러브롬 브이8 하이드로 벨벳 마스크 | 35g / 1.23 oz. 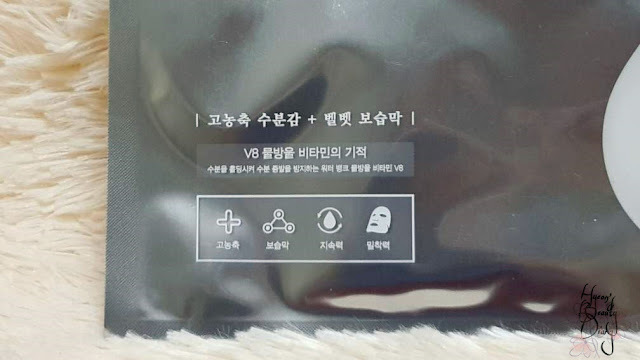 This Vella-operate skincare brand RUB LOM (which is the abbreviation of "Revolutionary Uni Beauty Liquefying Optimized Material") is living their slogan "starts at 8AM, finishes at 8PM, the time to recharge skin moisture everyday" (in Korean: "사작하는 오전 8시, 마무리하는 오후8시, 매일 하루 피부 보습 비타민 충전 시간."). This sheet mask is highlighting their special ingredients, which are water vitamin + hyaluronic that should provide intensive and velvety moisture restoration. 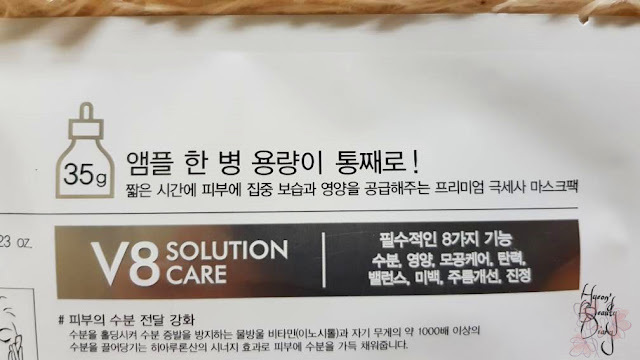 What more it contains a full bottle of ampoule (of 35g) inside the packet! That's exactly what they claimed (as below). The reason why? 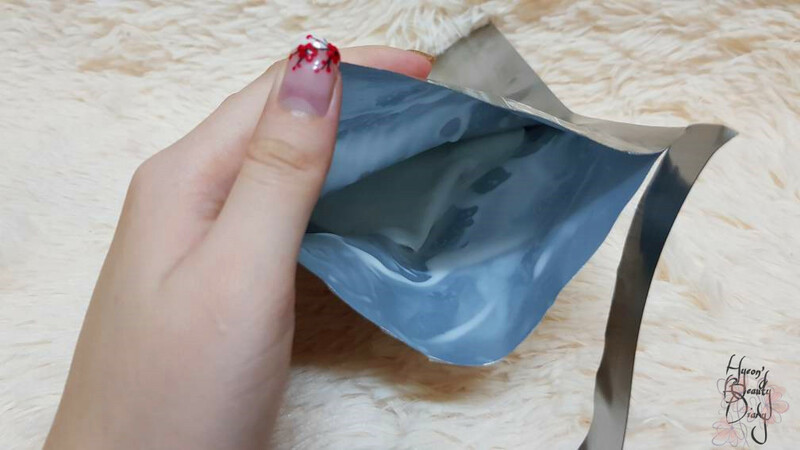 So it could effectively and generously deliver moisture and nutrients to the skin in short period of time. 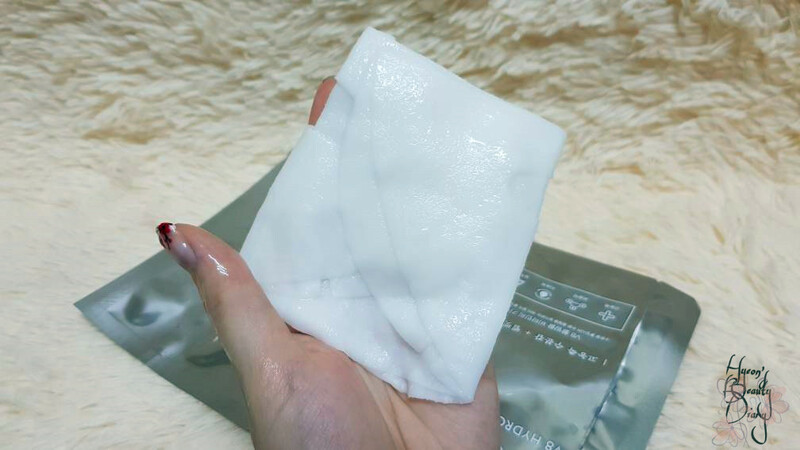 To use, simply apply it after cleansing and toning your face. I certainly didn't expect it is a lotion-type essence (wow)! For intensive hydration, I do prefer cream-type essence (I mentioned many times in earlier posts). 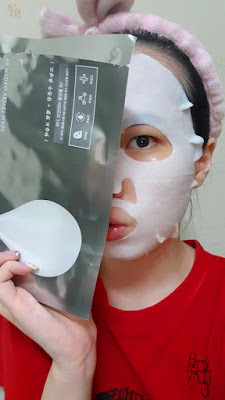 As I don't use sheet mask on a daily basis, I certainly enjoy intensive moisture care once in a week (though I have combination skin, but it can handle it well). 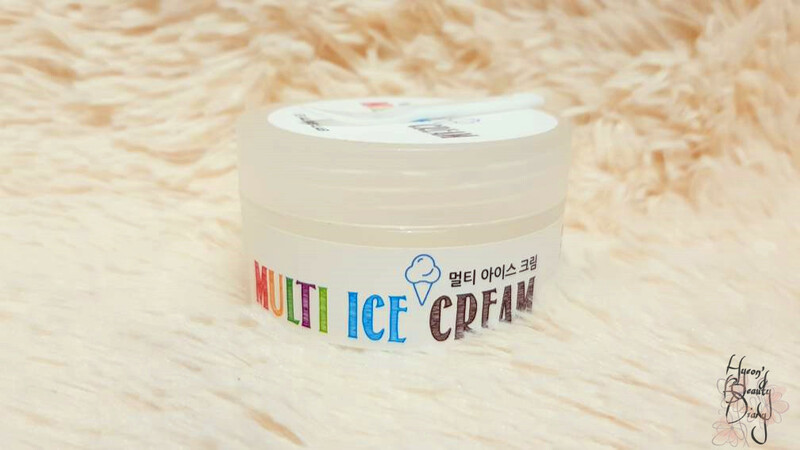 The reason why I say it's a "lotion-type" because its consistency is much liquid than cream (as below). It gives an impression of scented body lotion, more like a baby lotion (heh). Powdery and milky scent. Ta-da, thick velvet microfiber sheet revealed! I can definitely feel the velvety texture, both the essence and the sheet mask itself, while holding it. 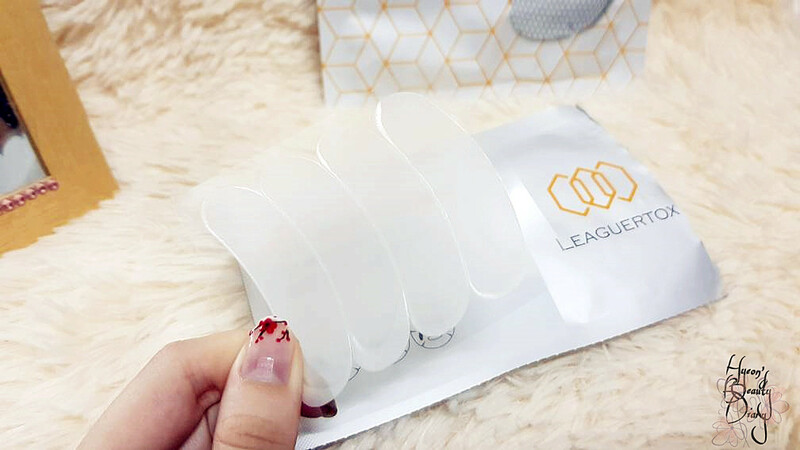 It has a comfortable soft texture. I can't wait to put it on my face! 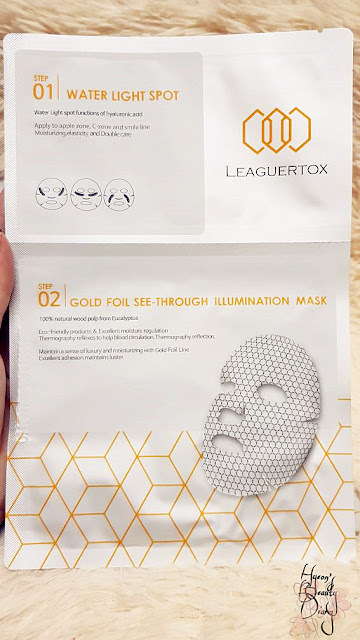 Despite the strong powdery scent, I am absolutely in love with this sheet mask. Yes, it definitely provides intensive moisture and care to tired skin. 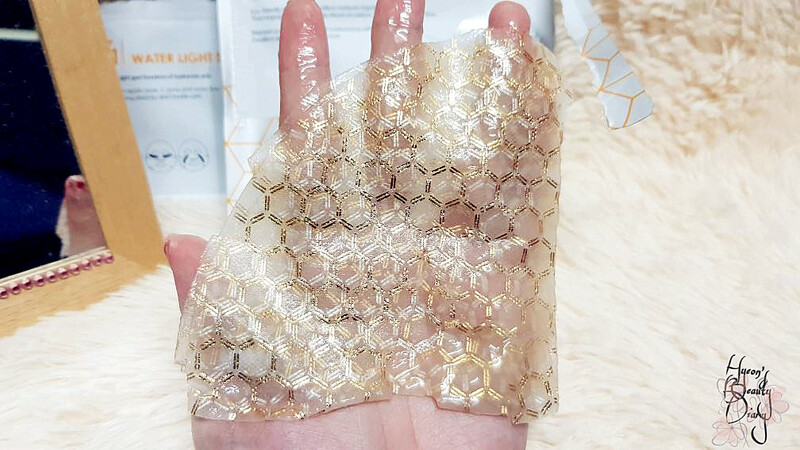 Besides, not only the thick microfibre sheet is able to hold and retain big amount of essence, but also it fits and clings on the skin comfortably. 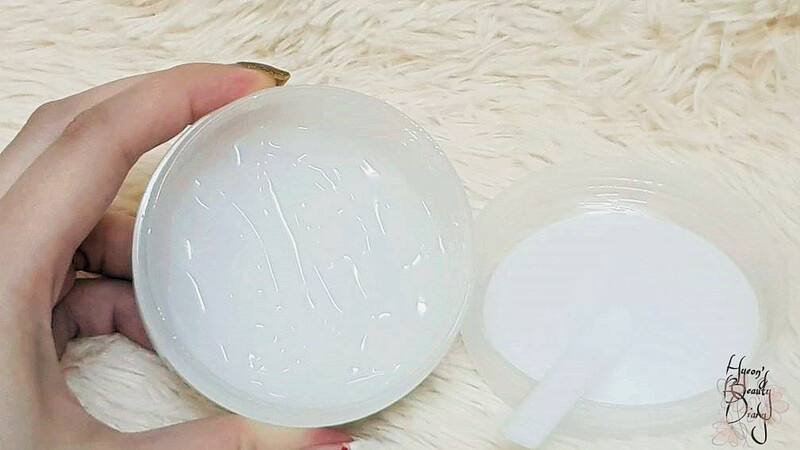 Since it is a lotion-type essence, the formulation prevents the essence from being evaporated too quickly before being absorbed into our skin. In fact, I left it for more than 20 minutes, and the sheet mask is still wet. 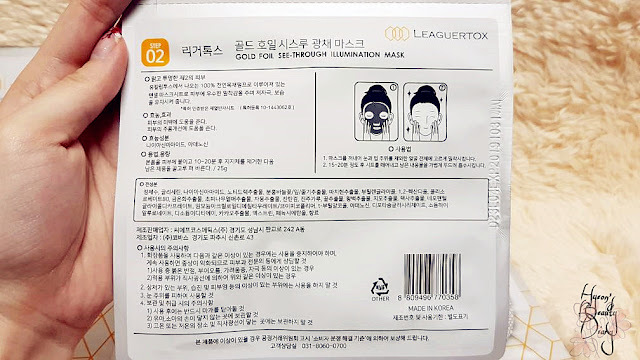 Recommend: Highly recommend if you haven't try any lotion-type sheet mask. Repurchase: Probably, but I would rather prefer it reduces the fragrance. If that's you, I would like to recommend a foundation which I recently fell in love. Herein a limited edition set from KATE's newly launched foundation line - THE BASE ZERO. 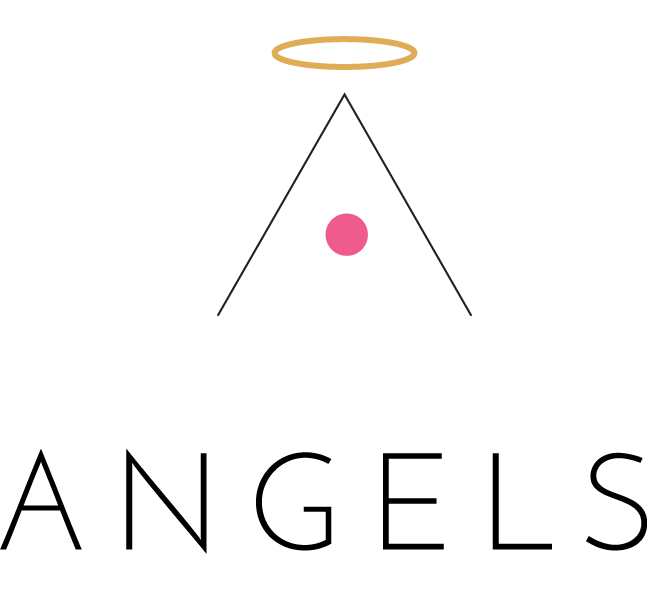 Their aim is to create a foundation that has tight-fitting coverage, creates beautiful and even skin with no cakey feeling. The set consists of one (1) liquid foundation of 30ml and one (1) face loose powder of 2g. 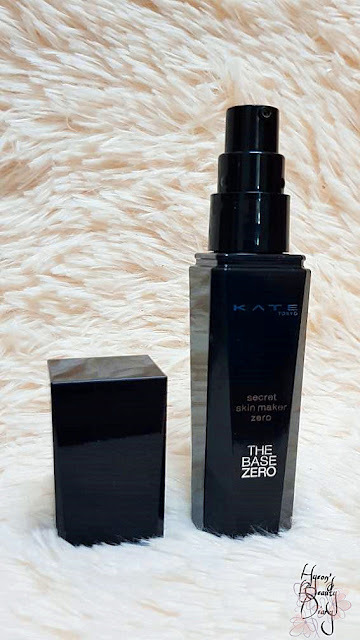 KATE always gives this mysterious and classy impression by using full black packaging. Quite their signature. 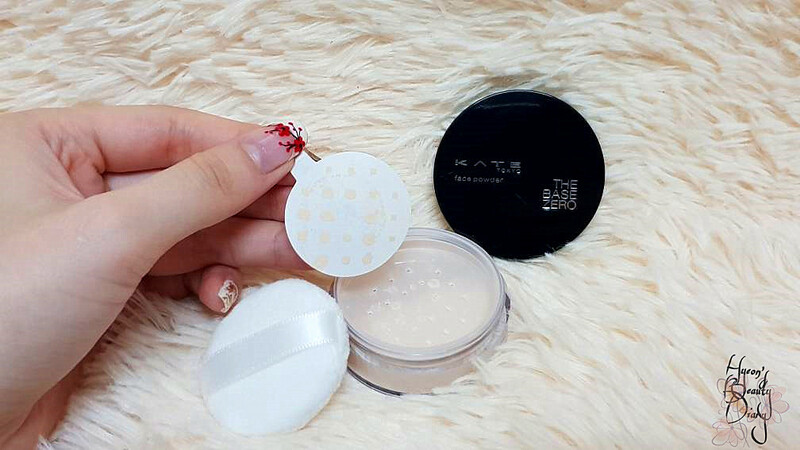 As you can see (from photo above), it is a pump-type liquid foundation which gives more control on the amount. And much hygiene too. One big bonus to those who dislike artificial fragrance. This product is fragrance free (sniff sniff again, YASSS confirmed). Check out the shade 02 Average Toned Skin (Formerly OC-C) here. As you can see (below), the foundation will slip down as I slanted my hand a bit, but not to the extend it is too watery. For me, it is just the nice consistency, right in the middle. Don't judge the shade you see right after extracted from the bottle. 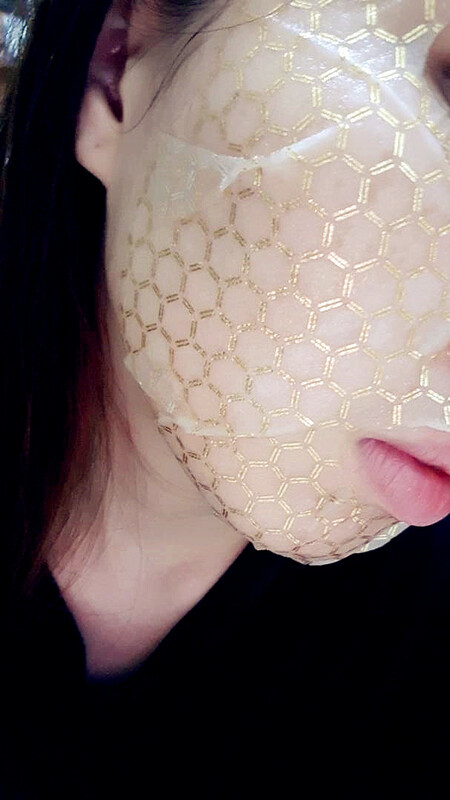 The color will become lighter once applied onto the skin. 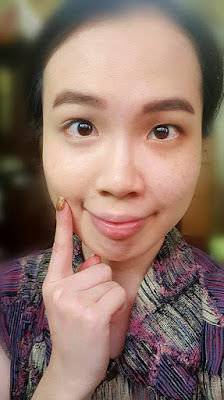 Here I am going to do a comparison by just applying the liquid foundation on one side of my face. The result is obvious, isn't it? :D My dark circle and freckles are not so visible now from photos (although you can still see it in close distance). I'm in love with its natural touch and matte finishing. Likey-likey. It comes with a powder puff (as below). 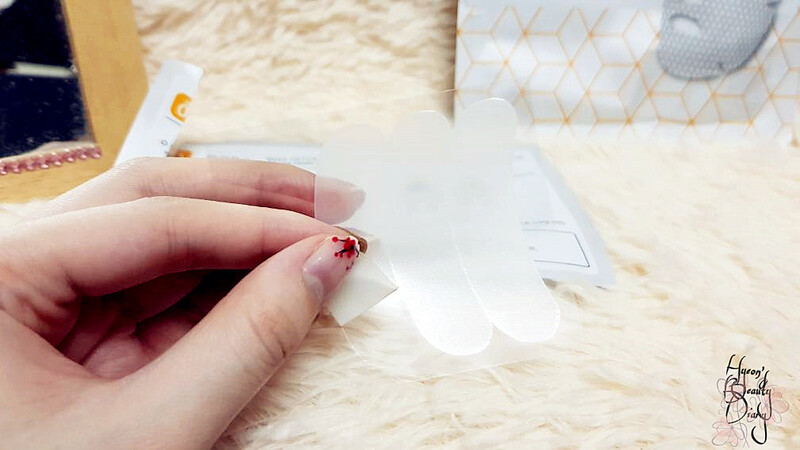 Remove the protective sticker (as below). The powder is nice and loose (as below). 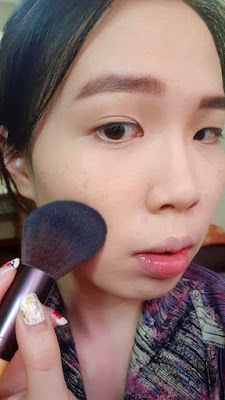 As for application, I prefer to use a powder brush instead the powder puff. That's just how I usually do with any powder product. 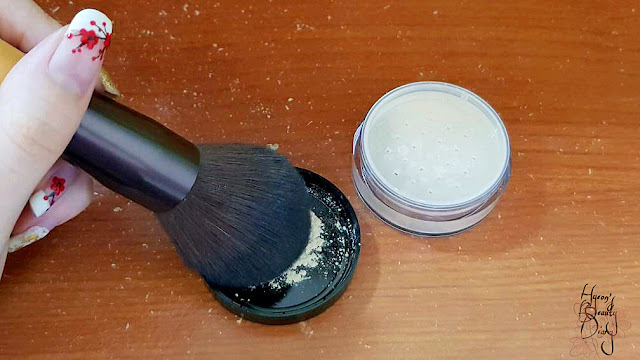 Using a powder brush will lower the chance of stamping the product onto the face (you know what I mean? heh). Here I am going to brush it all over my face. 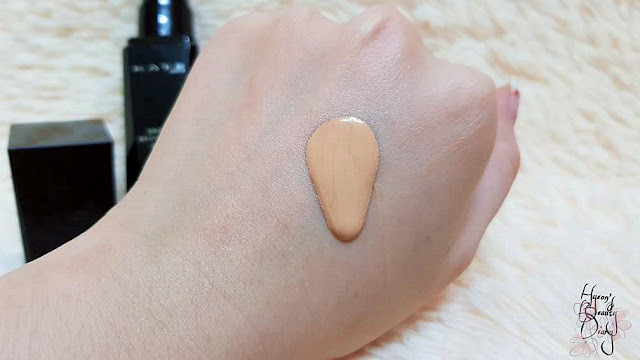 It does smooth out the surface, but frankly speaking, I don't see any big difference after applying it on top of the liquid foundation (earlier). 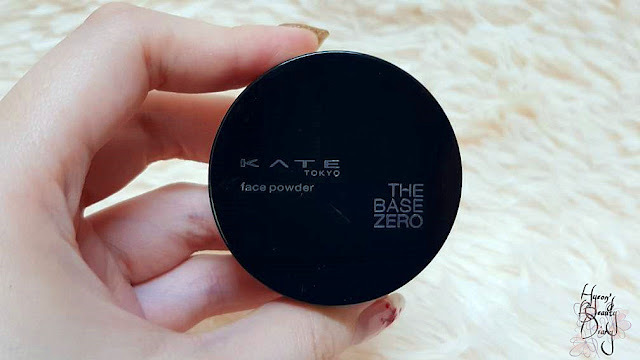 In fact, I think I could go without this powder foundation as it might look like I had a heavy/thick base makeup. For higher accuracy, what I did was to try on their testers at Watson. Take a small amount and apply as instructed in the video. If you ask me, I do prefer the liquid foundation than the face powder. 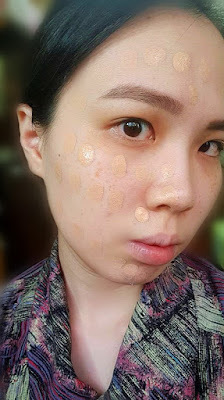 The liquid foundation has better adherence and coverage. 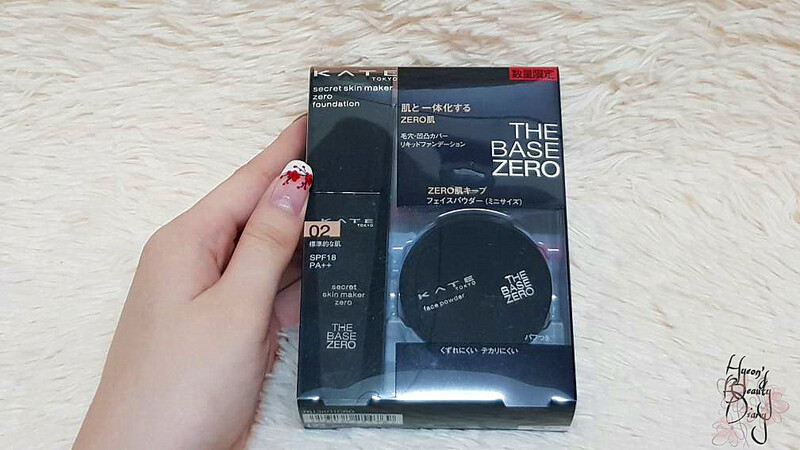 Plus, it is formulated to turn into matte-finish when the foundation sets. 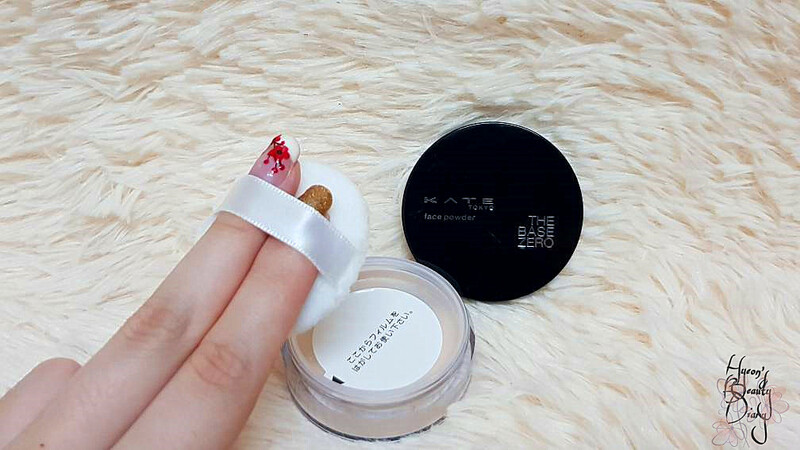 In this case, personally I don't think it is necessary to go in with the face powder after applying the liquid foundation. It will only make the base makeup looks thick and easier to get cakey throughout the day. 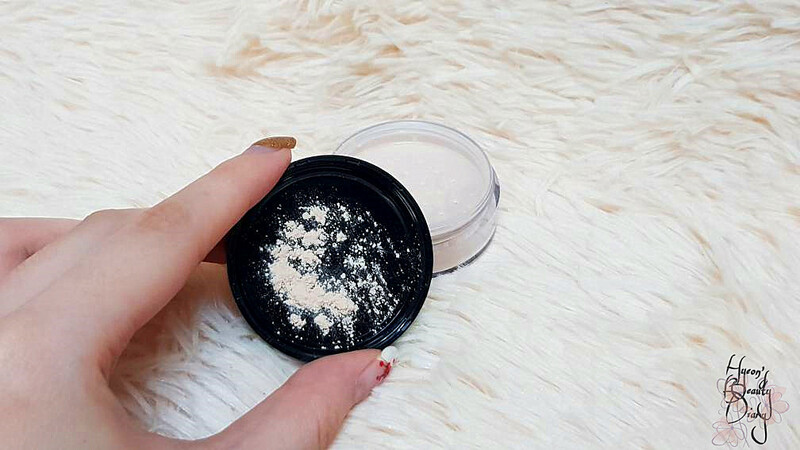 However, let alone the powder foundation, I think it could serves as finishing powder when you wish to tone down dewy/shimmering face makeup. This product is available on Hermo and Watson. 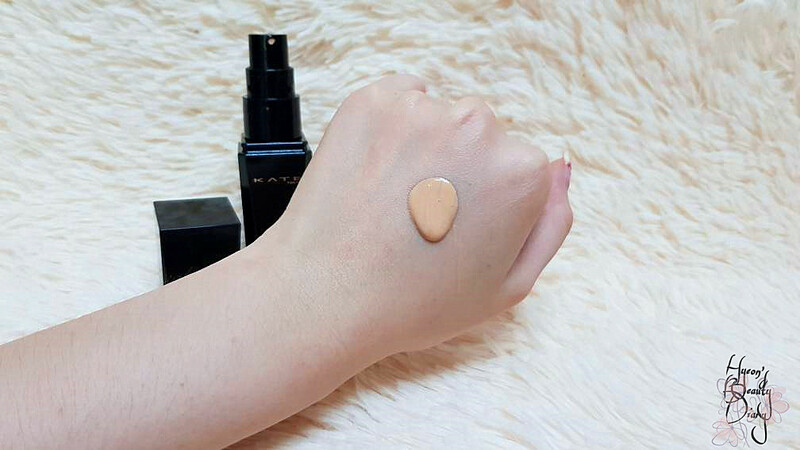 Recommend: Highly recommend the liquid foundation for everyday makeup.